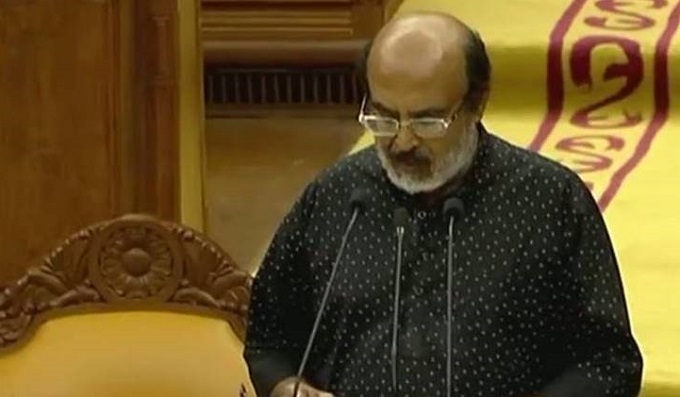 THIRUVANANTHAPURAM: Kerala budget presentation begins at the Assembly. Finance Minister Thomas Issac is presenting the fourth budget of the present government and the tenth of his. Dakshayani Velayudhan award for women empowerment. Express gratitude to central government and armed forces. Wayanad coffee to be branded under name ‘Malabar"
It is expected that the cess on GST will be announced in the budget for procuring money for rebuilding Kerala. Earlier the minister had said that the state is facing very severe financial crisis. It is known that the hike in welfare pensions will be announced in the budget in the view of upcoming Lok Sabha polls.